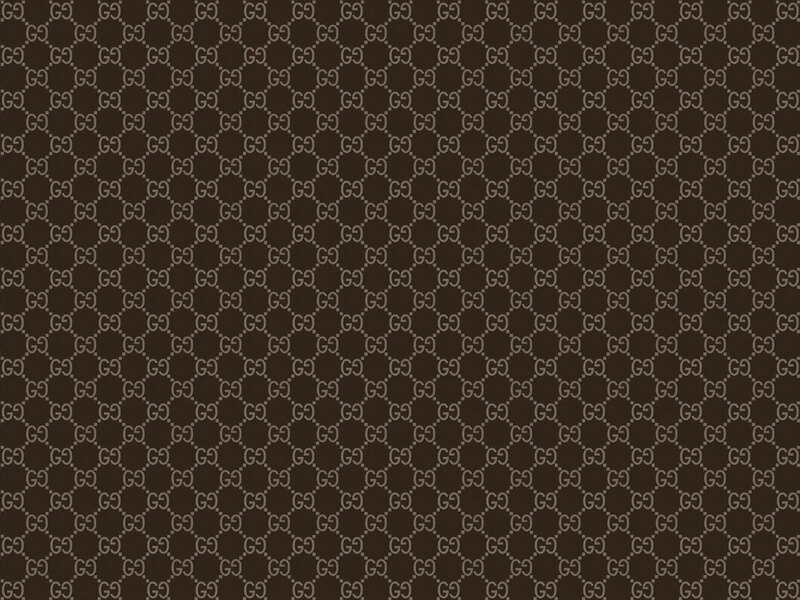 The Gucci G-Round YA101342 is both fashionable and snazzy. 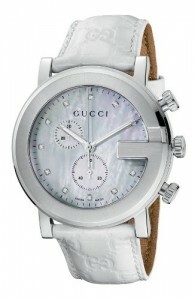 The Gucci 101 G-Round Chronograph watch YA101342 is a great accent piece for the stylish, modern man. This watch is unusual as far as men’s watches generally go in that it is mostly white, with a white leather band, and a mother-of-pearl dial. The case is stainless steel and the clock hands are white and black. What makes this watch exceptionally attractive are all the great details you find upon closer examination. 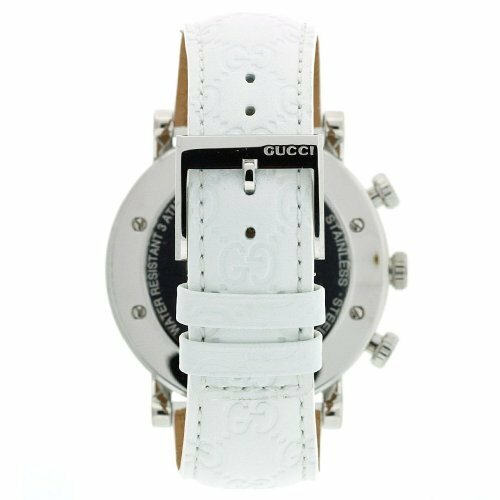 For example, the white leather band is embossed with the Gucci logo in a cool, criss-cross design. Also, there are three dials on the right side of the watch case, and the middle one is engraved with a stylish, ‘G’. The clasp on the underside of the band has a silver and black, square design with ‘Gucci’ written very small in silver on the top right corner. It’s all in the details and the tasteful details included on this watch add that extra degree of coolness and style. This watch has great details! This is a durable men’s watch with Swiss quartz movement, a scratch-resistant sapphire crystal clock face and water resistance down to 30 meters/100 feet. The case diameter is 44mm and the band width is 22mm so it is an average size for a men’s watch. I would not be surprised if women might be attracted to this watch as well! It is not too big to serve as an oversized women’s watch and the white leather bands and beautiful mother-of-pearl dial would work well for women wanting a nice cross between a masculine-shaped watch with more ‘pretty’ details than your average men’s watch. In the same vein I would perhaps hesitate in purchasing the G-Round YA101342 as a gift for a man that I did not know very well. I can imagine some men feeling that the white color of the watch and the mother-of-pearl dial are not masculine enough for their taste. However, for a man with style who likes a swanky, modern, perhaps even metro-sexual look, this watch is a great timepiece. It might clash with dark suits so I would not necessarily recommend it as a business watch, but for going out and a casual, summery look, this watch is perfect and will surely draw many compliments, especially from women! Another feature which men tend to enjoy is that the watch has a chronograph function which basically means that it can also serve as a stopwatch. The knobs on the side activate the analogue stopwatch and the two smaller dials on the surface of the dial indicate time elapsed. This adds a fun and sporty flair to this ultra snazzy watch!